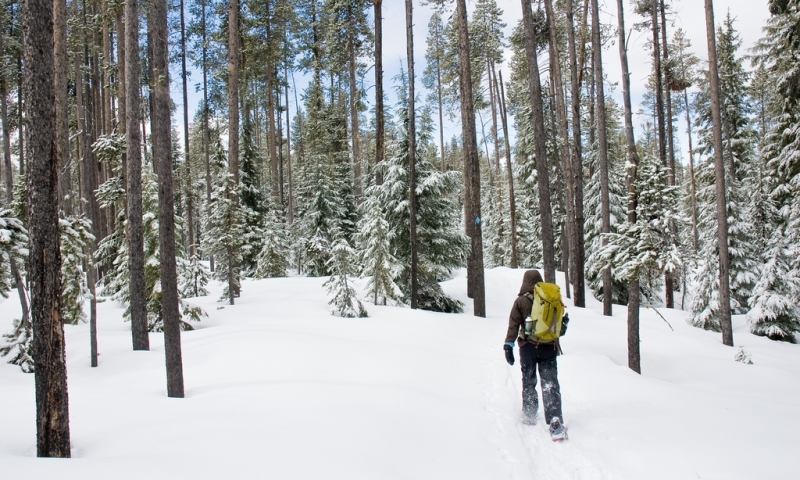 If you enjoy hiking through the backcounty in the summer, you are sure to enjoy a snowshoe trip in the winter. Rent snowshoes or bring your own and enjoy all the places to explore off trail and away from the crowds in Central Oregon. Hoodoo Recreation is perfect for finding the best place to spend your vacation! Listings for all types of needs from camping to lodging! Resort accommodations at their best, visitors to Mt. Bachelor will delight in the recreation, dining and shopping opportunities in this naturally beautiful Oregon destination. Experience a thrilling adventure at Mt. Hood Skibowl with exclusive accommodations, hiking, kayaking, rock climbing, whitewater rafting and affordable vacation packages. Wanderlust Tours offers half-day naturalist-guided tours and trips in Bend, Sunriver and Sisters, Oregon. Live the outdoor lover's dream with gondola rides, hiking, biking, disc golf and skiing. Willamette Pass offers visitors loads of fun programs and activities. Outfitters and guides are waiting for you in Central Oregon. They will enjoy leading you through the backcountry covered with snow. Put on your snowshoes and wonder away from the crowds and into the peace and quiet that walking through the winter wonderland can bring – that is until some joker in your group decides to start a snowball fight or tackles you into the deep powder snow! Snowshoeing is a wonderful activity for all ages and all experience levels. Travel along, learn about the winter environment, and enjoy playing in the snow. Snowshoe trips can be customized – either a leisurely walk on the flats or climb and jump in powder-covered lava flows. It is possible to get "sir" on your snowshoes! Fun for all ages, dress warmly and plan to have a great time. Trips can last for just a couple of hours, for a half day or a whole day. Regardless of your ability, you will enjoy this fantastic way to explore the snow covered country side near Bend.